The BIG Window - No matter who you are or where you are on life's journey, you are welcome here! As you drive down the hill, heading north on route one, with the University of Maine at Machias campus on your right, you see Centre Street Church's steeple. 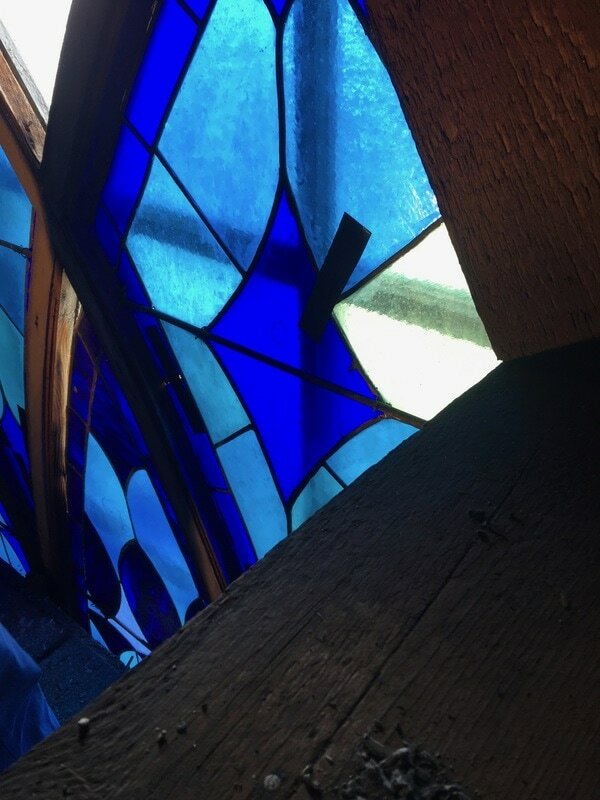 And just below the steeple is this remarkable window. 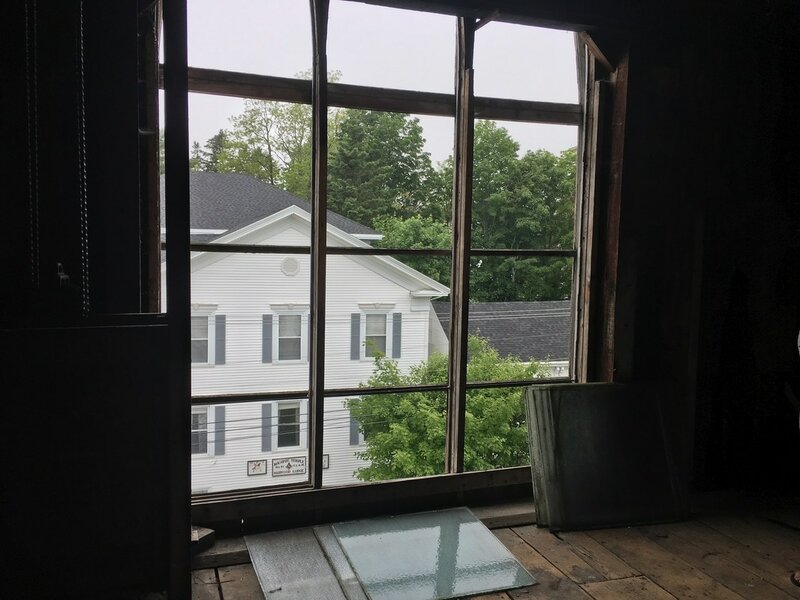 Our goal is to restore this window, not only for Centre Street's worshipping community, but for the whole community to enjoy! 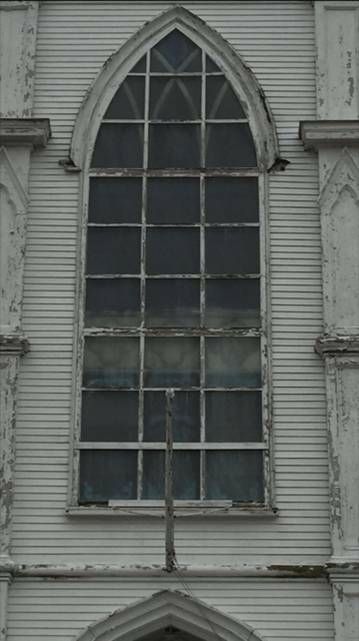 If you'd like to help us bring this old window back to life, please call the church at 207-263-6599! Many thanks for checking out our project! The Open Window to Machias Campaign Ramps Up! the window and its frame. Now that we have found the right firm to do the work economically, and have had success in the quiet phase of the campaign, it is time to publicly ask for additional support to finish the job. The start has been very positive. Judy Armstrong's financial and creative support through her Sweet Jazz concert started us off with almost $3000. Our request to the Belvedere Fund of the Maine Community Foundation resulted in their maximum gift of $15,000. Others have given generously without being asked. To date we have raised $27,000. Once completed (target date is our Blueberry Festival!! 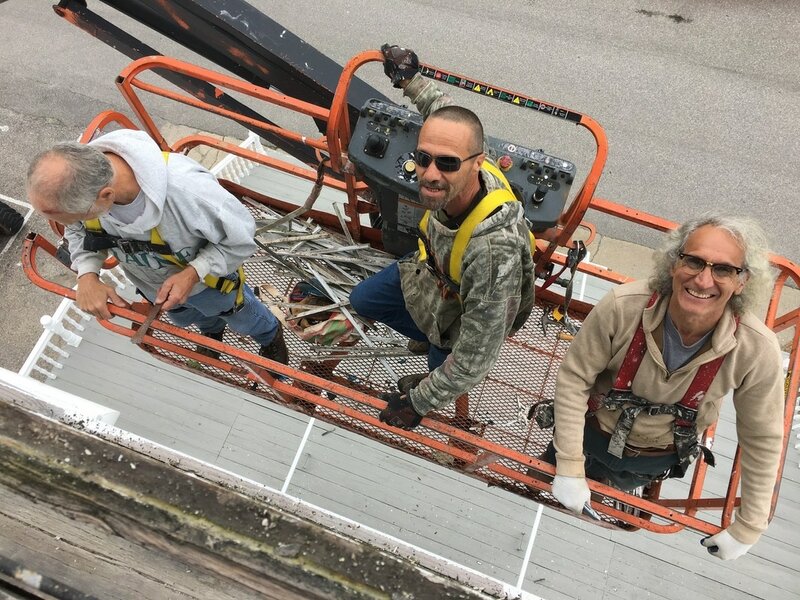 ), the project will include the window restoration, a new storm window which lines up with the frames of the stained-glass window, and back lighting; all designed to make the beauty of the window clearly visible from the outside to everyone in the community. The total cost will be $37,000. With this letter, we are asking the community to please help us raise the final $10,000. 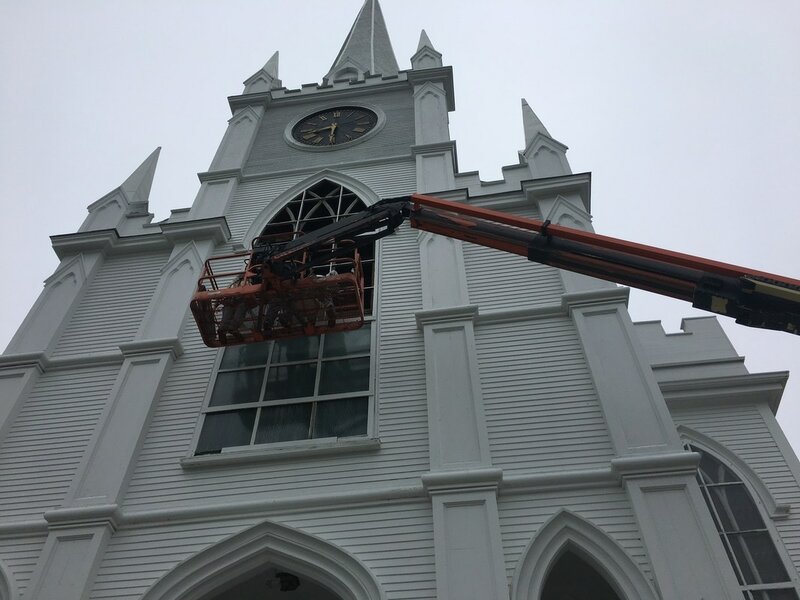 Having just completed a major campaign to restore and repaint the outside of the church last summer, we do recognize the sacrifice that we seem continually to ask of our friends. Please give as you can. While our church body does much now to support others in need, we all require comfort and inspiration from beauty in our surroundings to get on with those tasks.